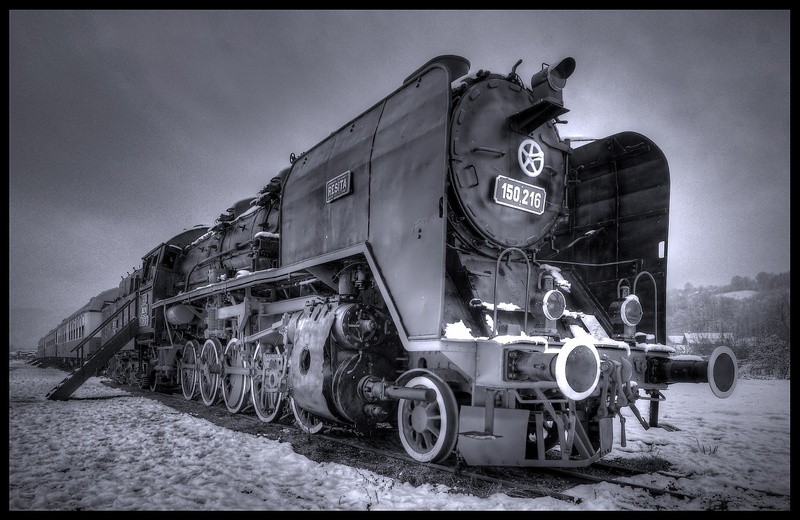 Carpatia Express is a train made up of the CFR 150.216 locomotive and 3 passnger cars, in which tourists can sleep. Well, actually, to be more specific, only two of the train cars are for sleeping, the third one is a restaurant car. It is the first ever hotel train in Romania and it is open since the spring of 2011. Carpatia Express has a total of 20 compartments, each with two beds and toilet. The price for one night is 59 RON (13-14 Euro) for one bed or 75 RON (about 17 euro) for the whole compartment (and breakfast is included). The hotel train has heating, so it is open all year. 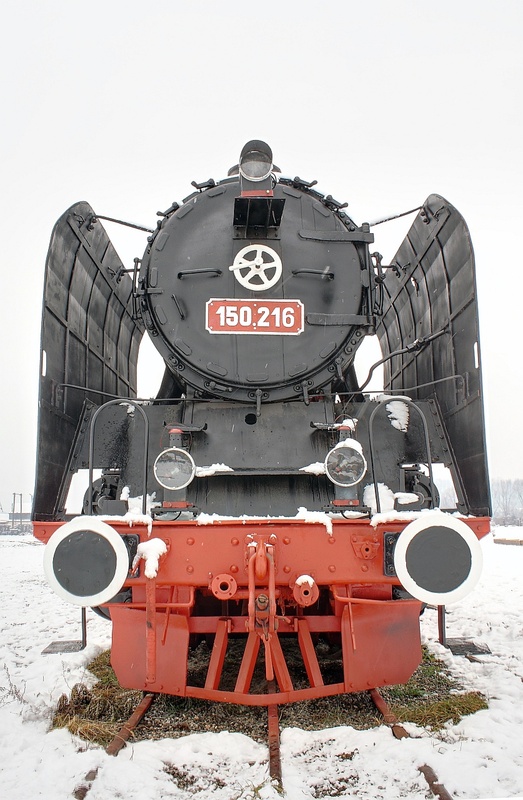 The locomotive of the Carpatia Express is CFR 150.216, one of the 282 steam locomotives of the CFR 150.000 series built by Uzinele Domeniilor Resita and Uzinele Nicolae Malaxa (Uzinele "23 August") Bucuresti between 1946 and 1960. These were powerful locomotives built after the Second World War for the purpose of pulling heavy freight trains. 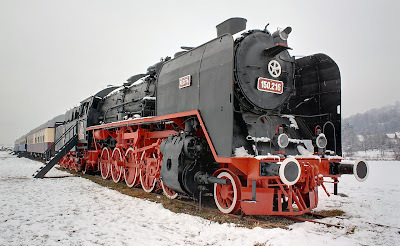 They were designed almost entirely based on the German BR 50 locomotives, with some modifications like the Cosmovici double fueling system (they could burn both coal and crude oil). 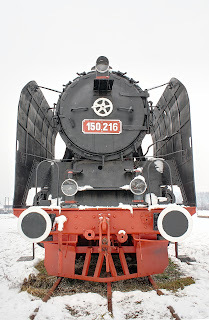 The locomotives of the 150.000 series were the last type of standard gauge steam locomotive produced in Romania. 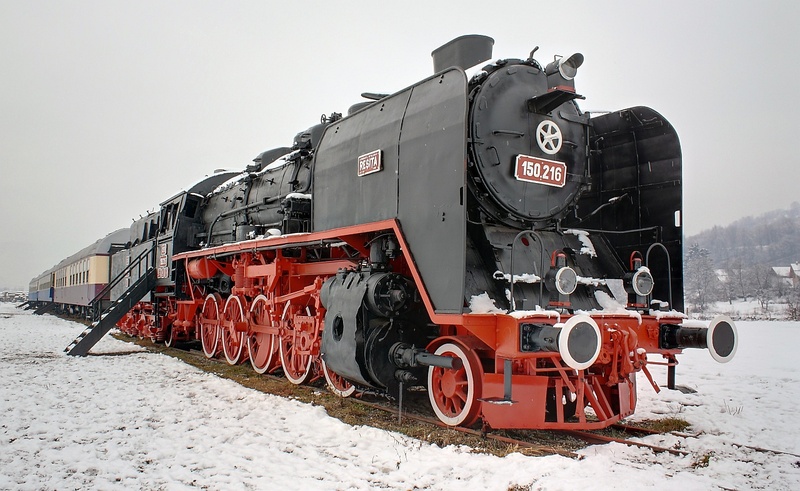 Although not so many were built (282), quite a few have survived and some of them can even be seen exhibited today (others have not been so lucky and are slowly being eaten by rust somewhere). CFR 150.216 was built by Uzinele Domeniilor Resita in 1958. It served at Targu Mures when it was active. A few years ago it was moved to Razboieni. Some pictures from that time show it in a really bad shape, but since then it has been restored and nicely repainted, so now it's the pride of the Carpatia Express train. 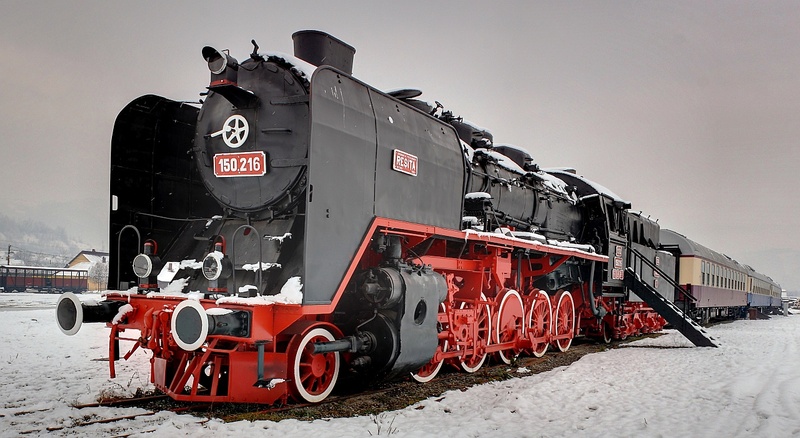 The three train cars of Carpatia Express have been restored recently too, repainted in their original colors, so on the outside they look the same way as when they were produced in the German Democratic Republic. 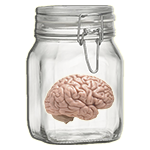 On the inside, however, they are more comfortable than they were during their service time.